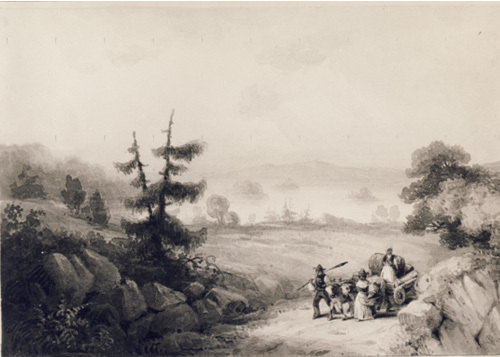 Who were the Black Refugees, what is their connection to the War of 1812 and what is their legacy in Nova Scotia? Like the Black Loyalists of the War of American Independence, the War of 1812 provided an opportunity for enslaved African Americans to escape and find eventual freedom. Slaves from places such as the Georgia and Chesapeake Bay coastal regions of Maryland and Virginia escaped to British colonies, primarily Nova Scotia, aboard Royal Navy ships that were part of the blockade along the American coast. In April 1814, British admiral Alexander F.I. Cochrane issued a proclamation offering any American who joined the British military the opportunity to become free settlers in British colonies. Although this proclamation was not directed specifically at slaves, over 4,000 men, women and children would use it to escape by 1816. These people became known as the Black Refugees. Approximately half would settle in Nova Scotia, while the remaining refugees settled in New Brunswick, Trinidad, and the British colonies in the West Indies. The Black Refugees who settled in Nova Scotia achieved freedom, but were faced with harsh conditions and discrimination. Rather than receiving land grants like white settlers, the new African Nova Scotians only received licenses of occupation, which allowed them to stay on their land, but did not entitle them to it. Additionally, the land they were permitted to occupy was often of very poor quality and that made farming nearly impossible. This societal prejudice, coupled with the economic depression Nova Scotia fell into following the end of the war, made life for these new Nova Scotians incredibly challenging. Despite these obstacles, the Black Refugees would develop their own African Baptist churches, schools and benevolent societies, which lead to the establishment of many vibrant communities. Settlements at Preston, Hammonds Plains, Beechville, Five Mile Plains, Beaverbank, and Prospect Road can all be attributed to the fortitude of Black Refugees. Today, many African Nova Scotians can trace their roots to these communities. 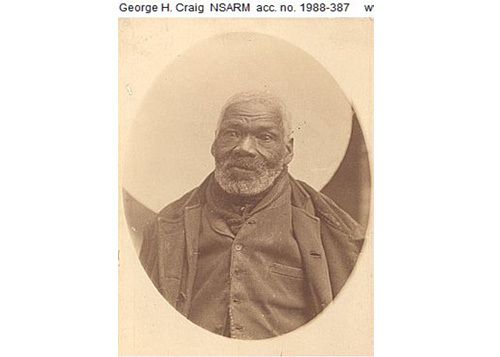 The Nova Scotia Archives offers “Black Refugees, 1813-1834”, a collection of archival resources related to Nova Scotia’s Black Refugees. See a copy of “Admiral Cochrane’s Proclamation”, on the Nova Scotia Archives’ website. The proclamation provided many Black Refugees with the opportunity to escape enslavement and attain freedom in the British Colonies. African Nova Scotian Affairs provides an overview of the history of African Nova Scotians in the resource “Our Community: A Look Back”. The Canadian Museum of Immigration at Pier 21 details the immigration history of the Black Refugees in the research report “Shaping Communities: Black Refugees in Nova Scotia”. The Black Cultural Centre for Nova Scotia provides a short description about the Black Refugees with links to other major migrations of African Nova Scotians in the resource “War of 1812 Refugee Migration”. Dalhousie’s James R. Johnston Chair in Black Canadian Studies, Dr. Afua Cooper, delivered a workshop entitled “African Canadians and the War of 1812”.